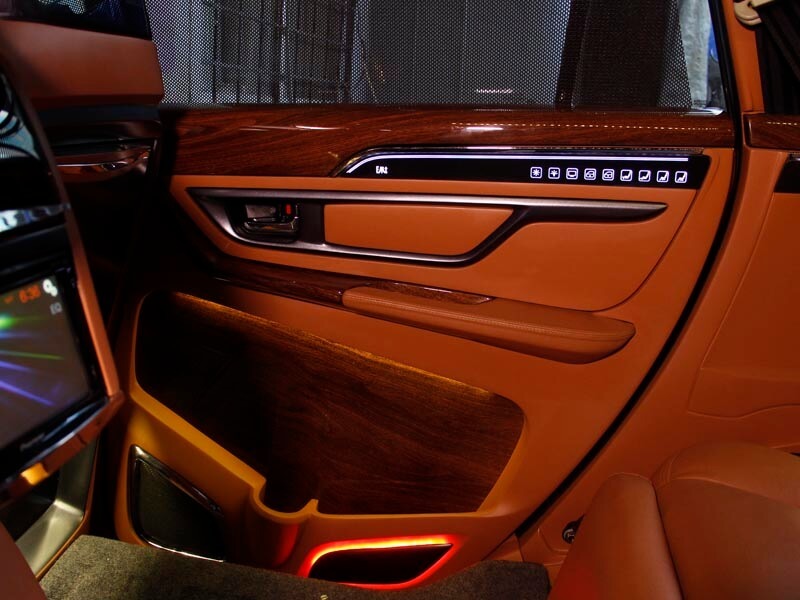 An epitome of craftsmanship, unique prime creation. A luxury dream liner for quality lovers. 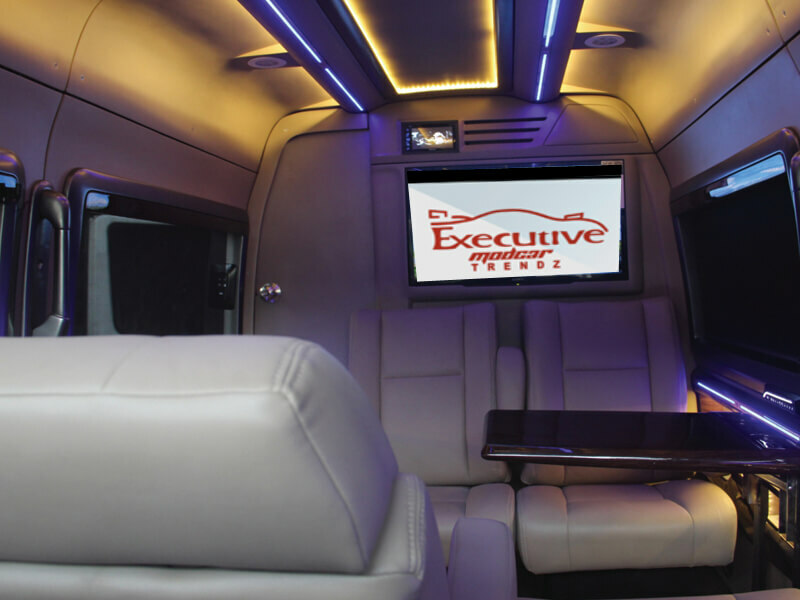 Created for cool comfort, prime entertainment and immaculate engineering ensures comfortable and well equipped luxury interiors. Furnished by elegant LED lighting. 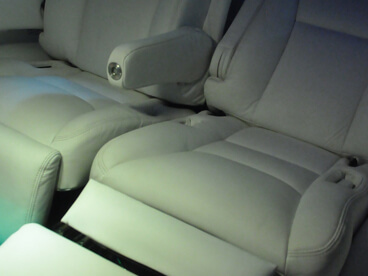 Captain chairs that recline fully with the press of a button are ideal for sound sleep on a comfortable recliner. 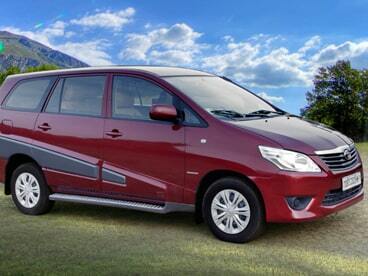 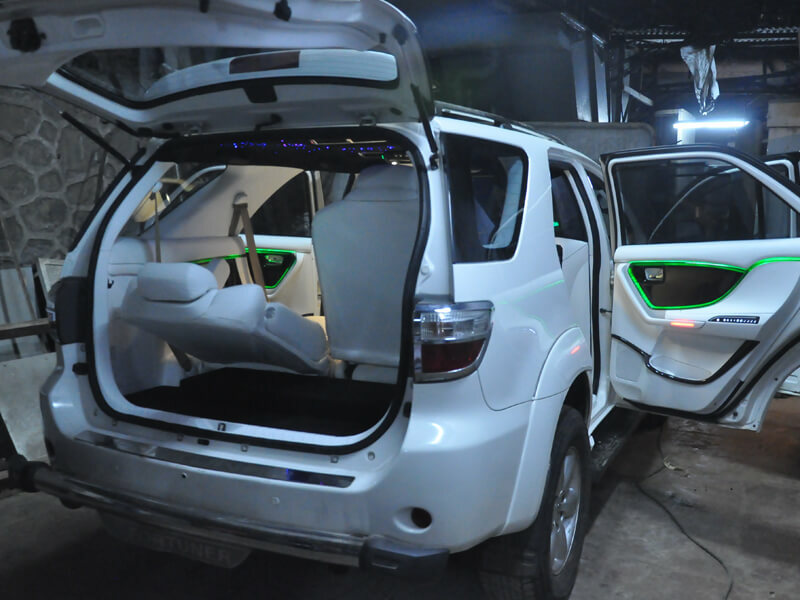 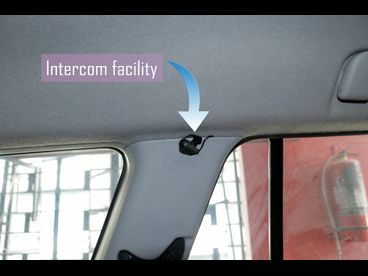 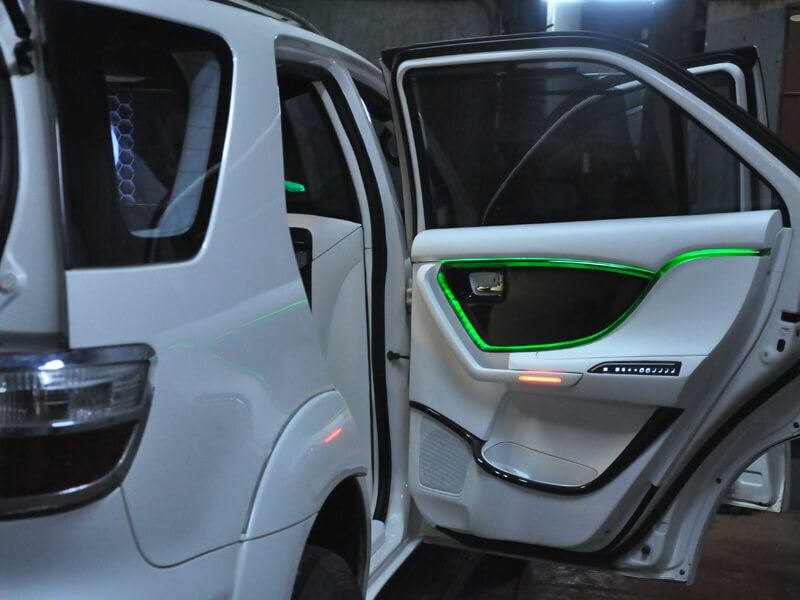 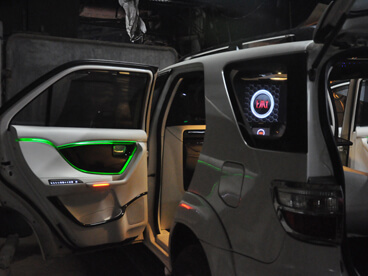 We Transforming an Innova into a multipurpose luxury vehicle. 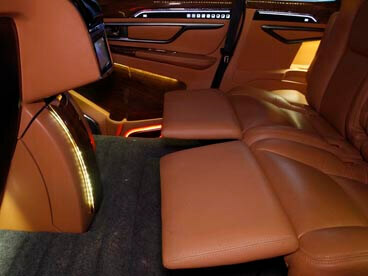 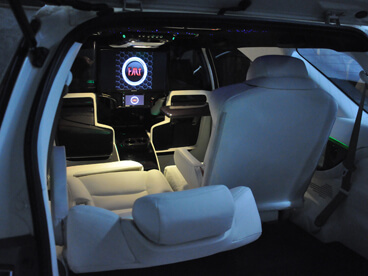 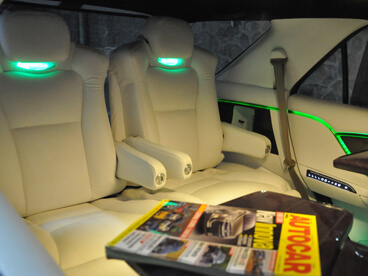 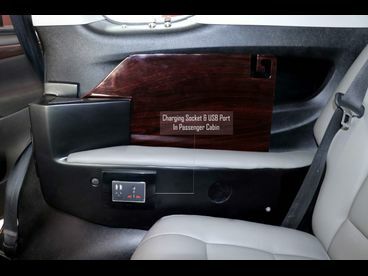 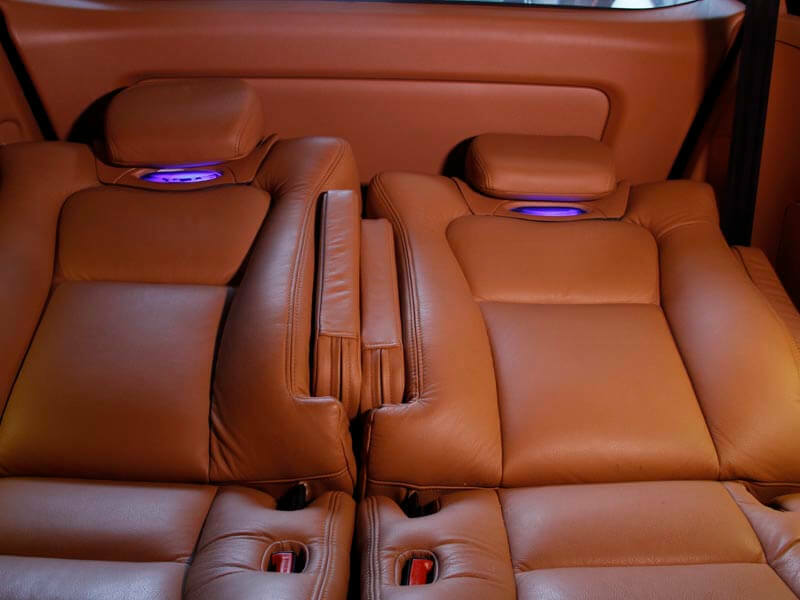 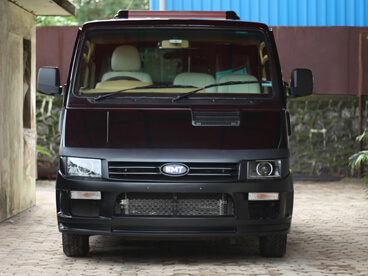 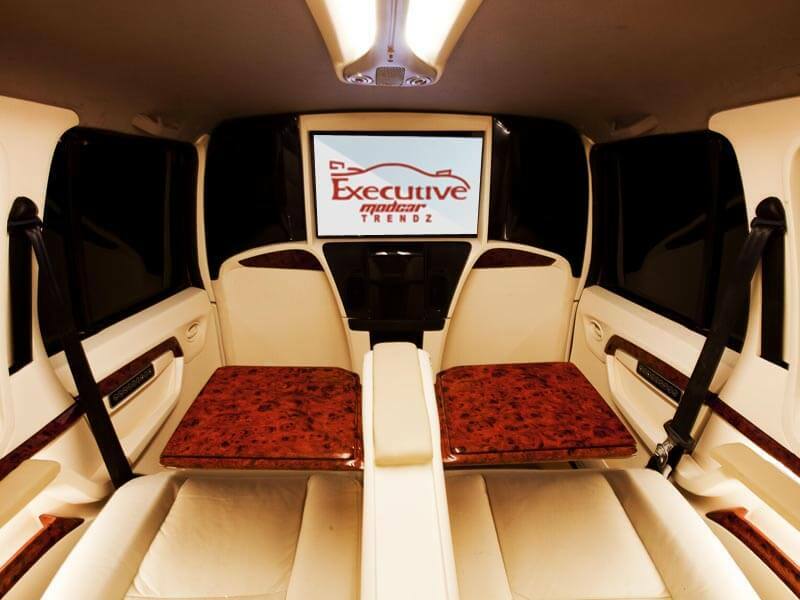 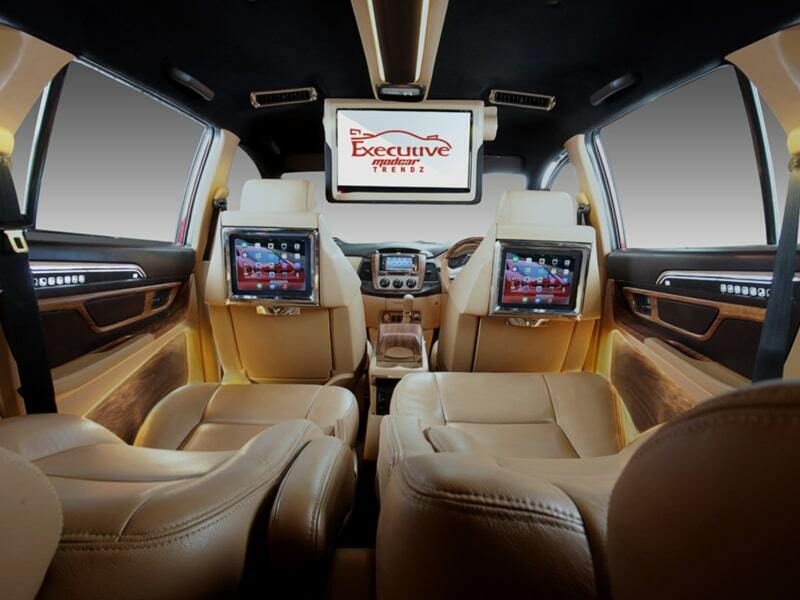 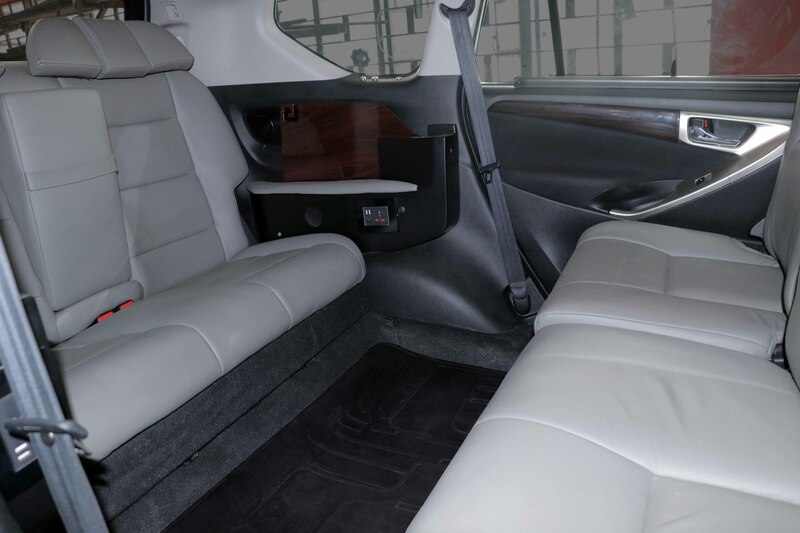 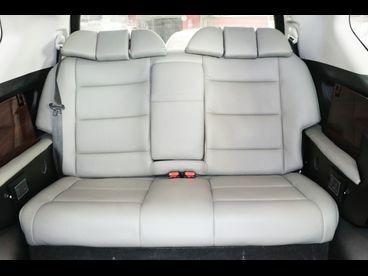 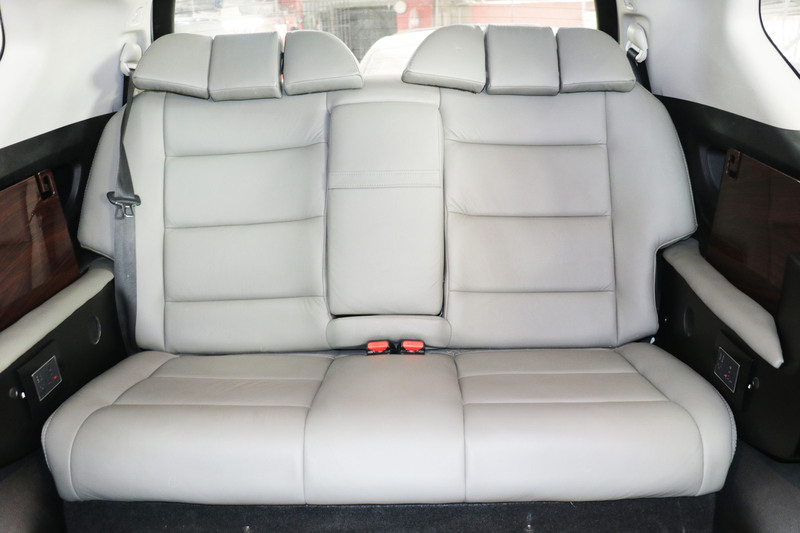 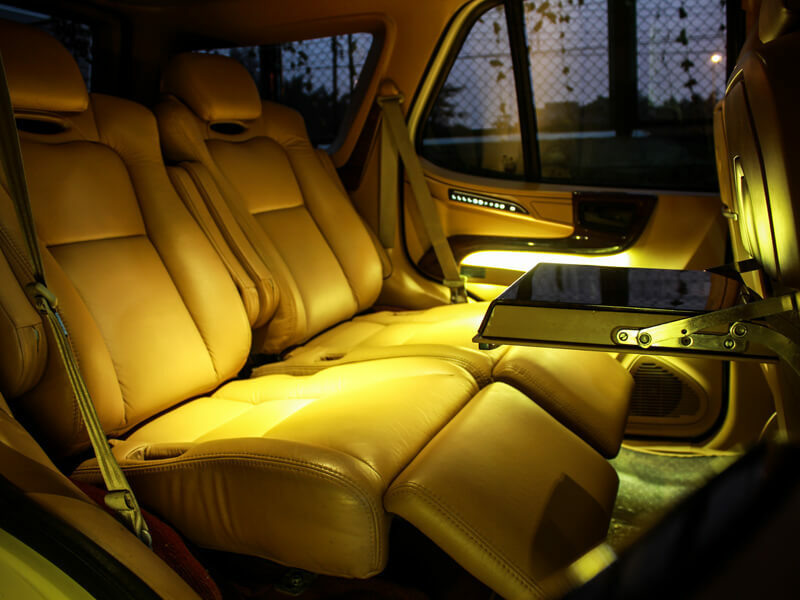 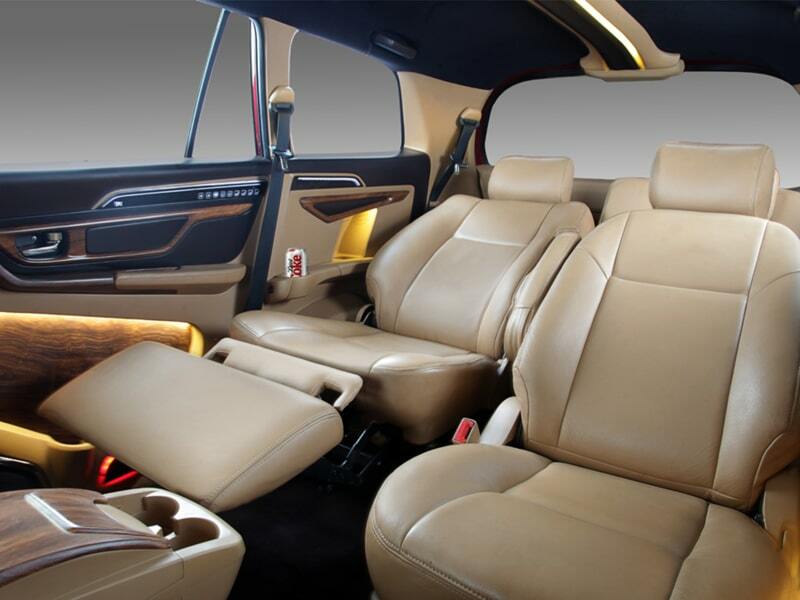 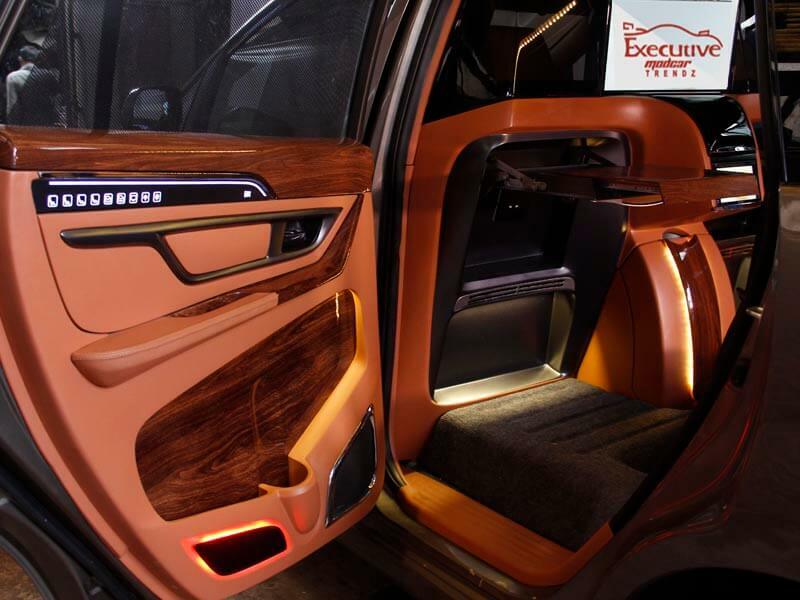 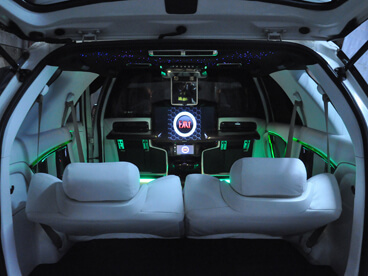 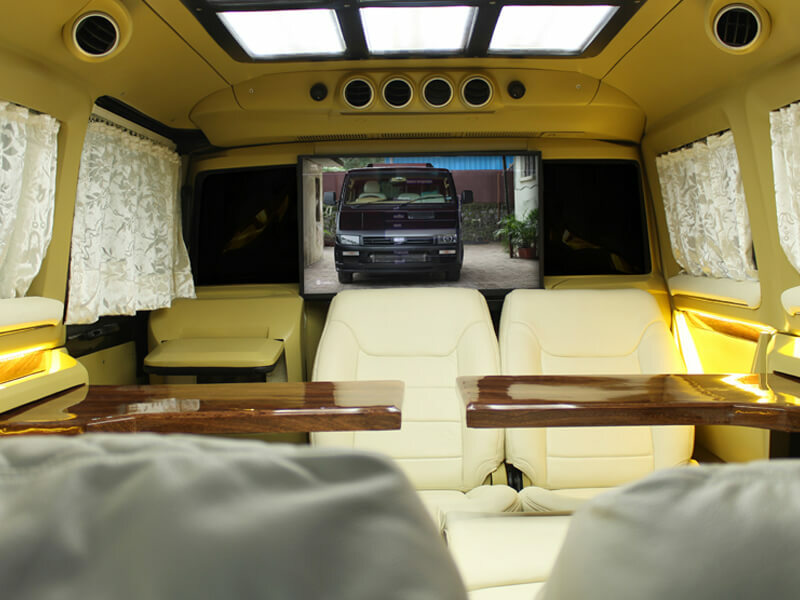 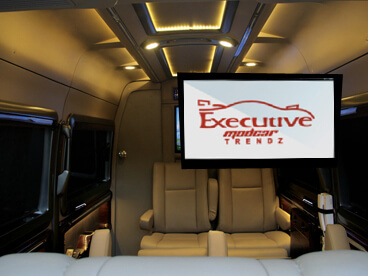 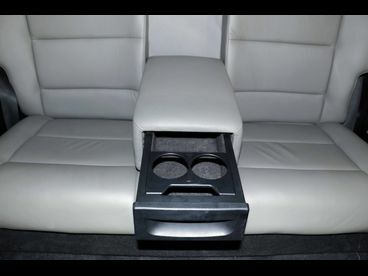 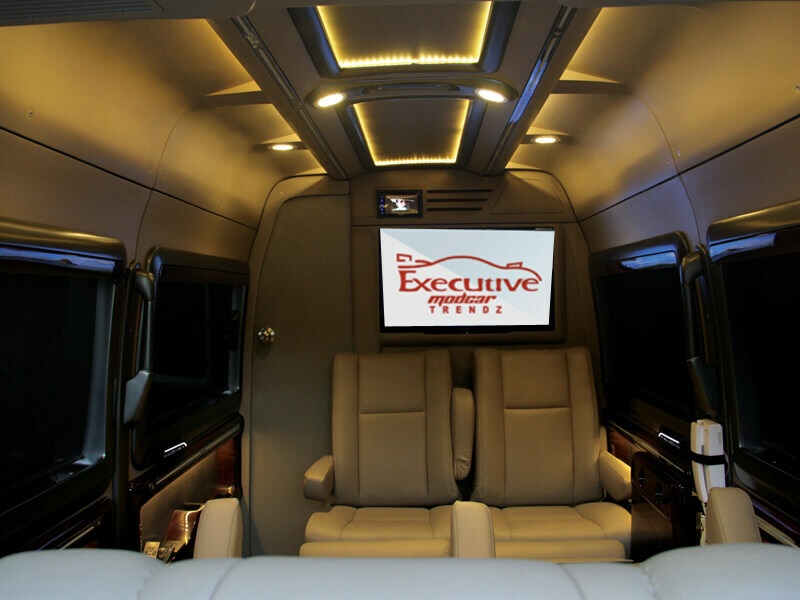 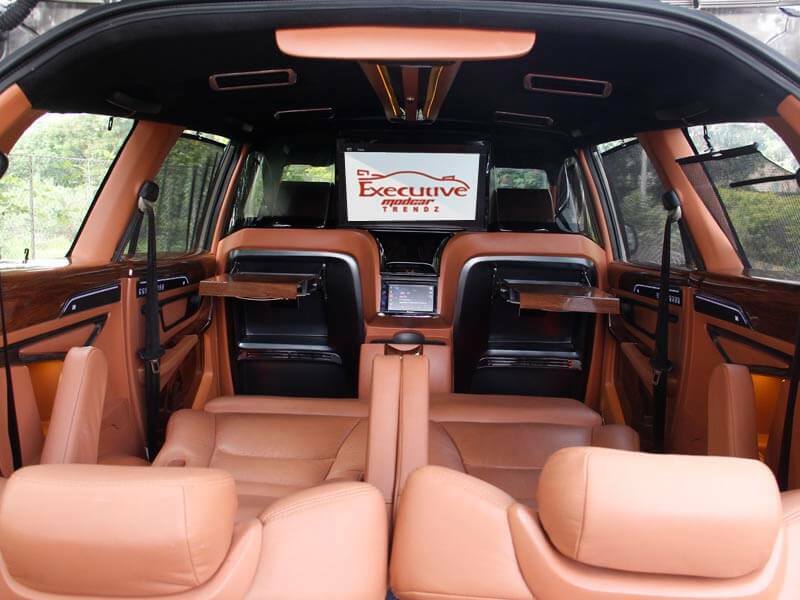 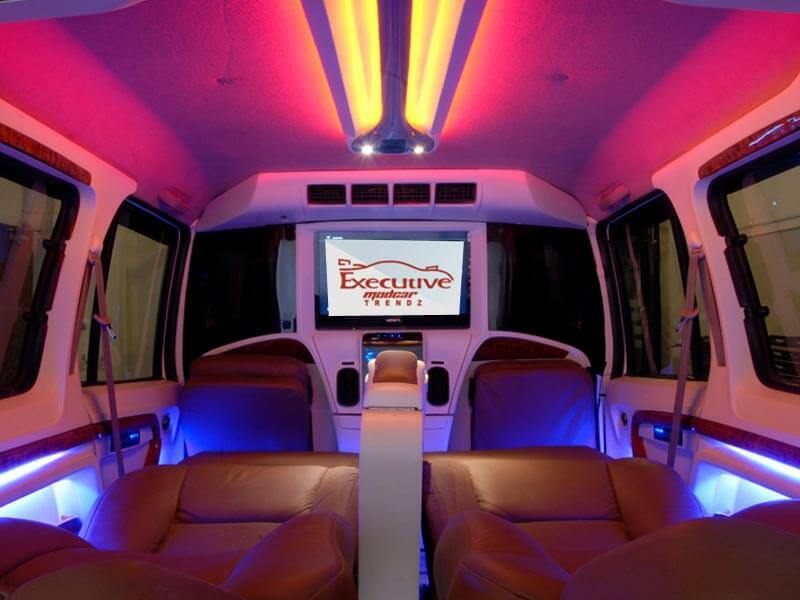 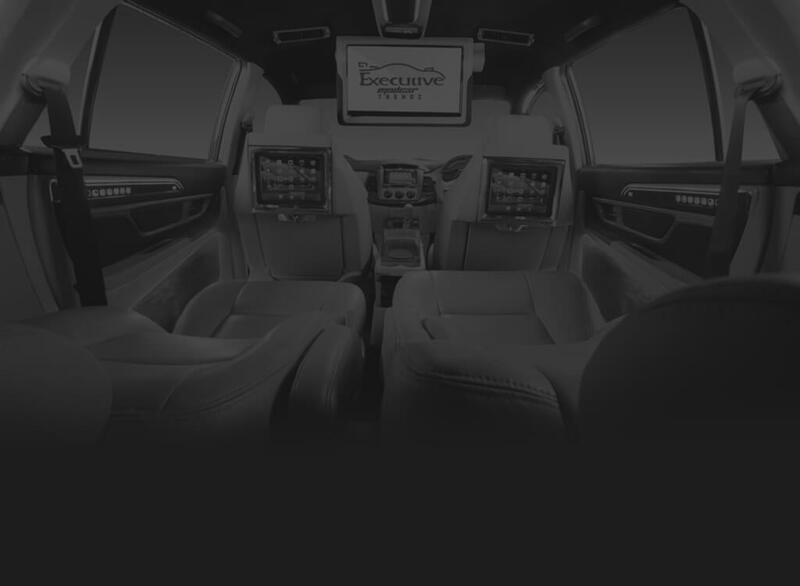 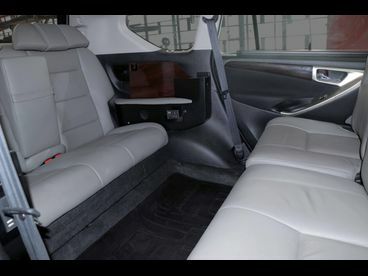 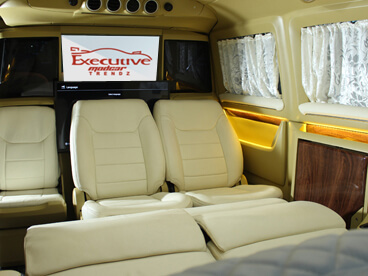 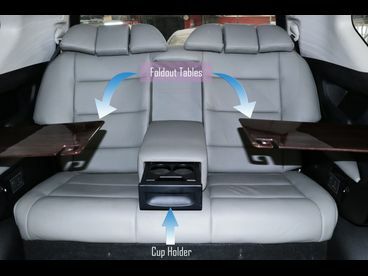 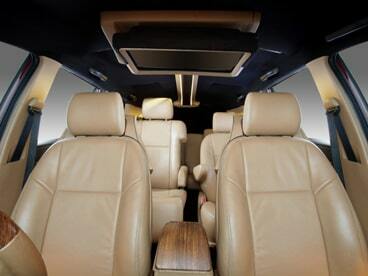 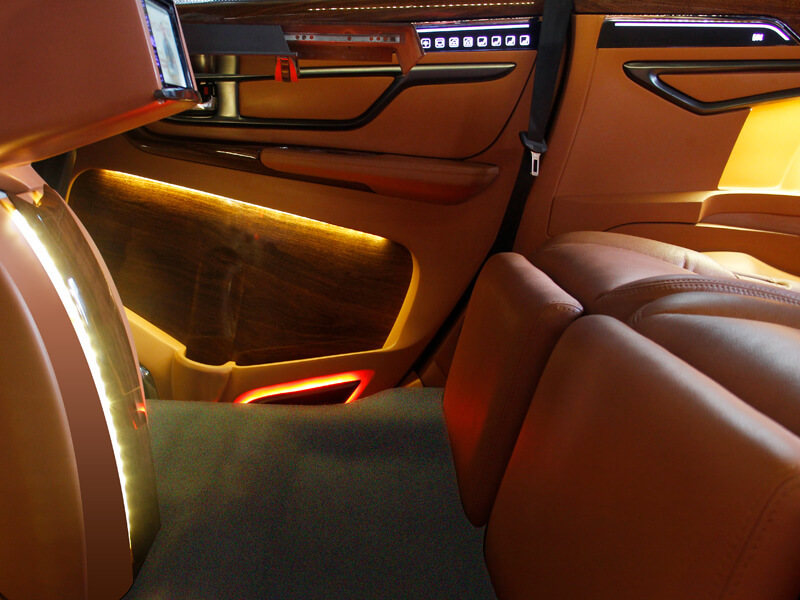 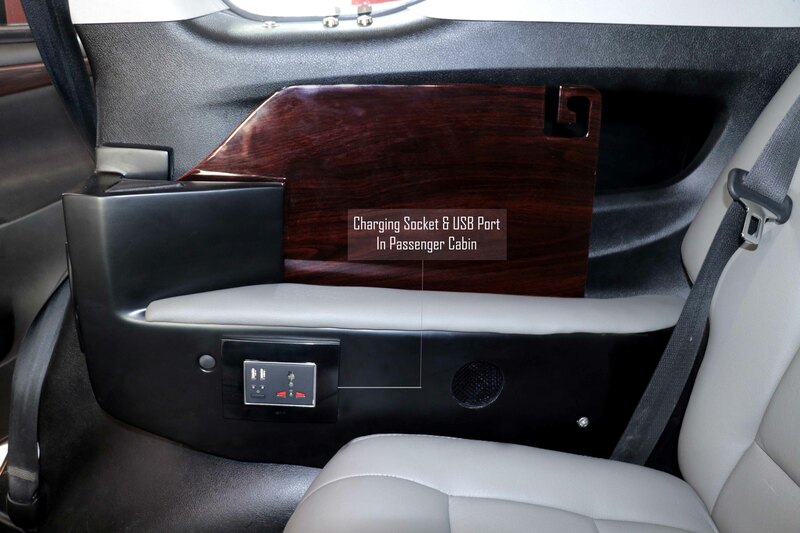 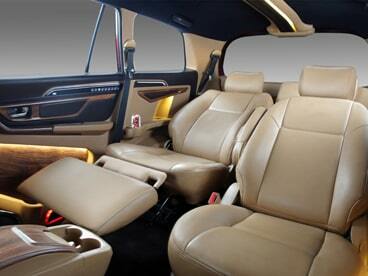 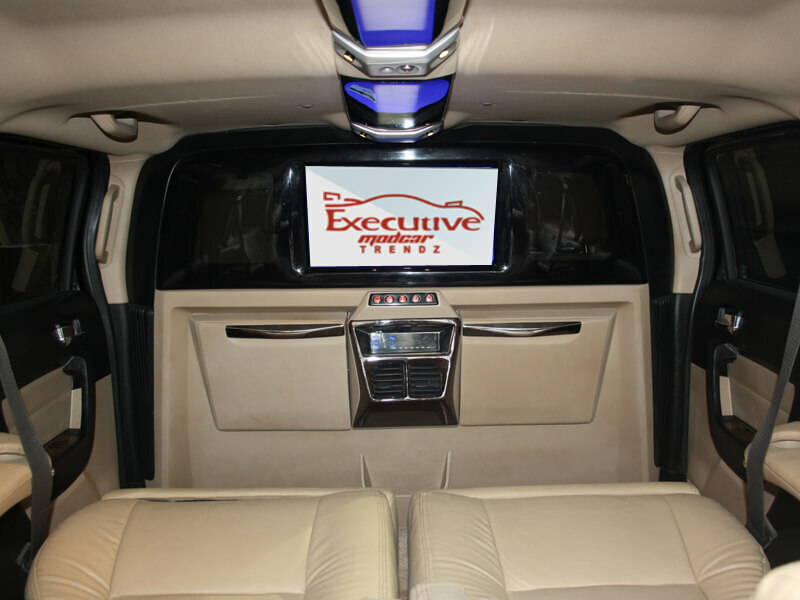 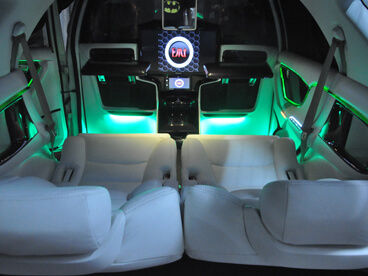 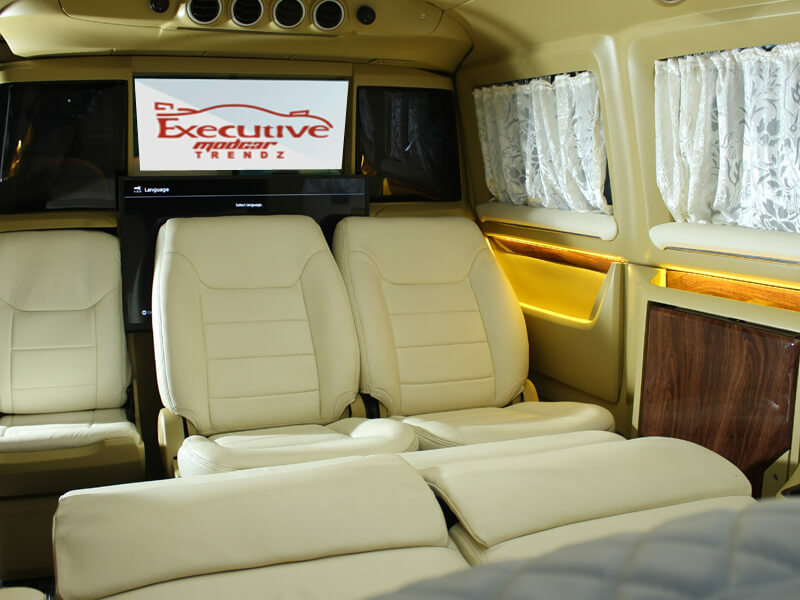 Luxurious 7 seater stylish, incomparable and second only to Executive MOD Lounge. 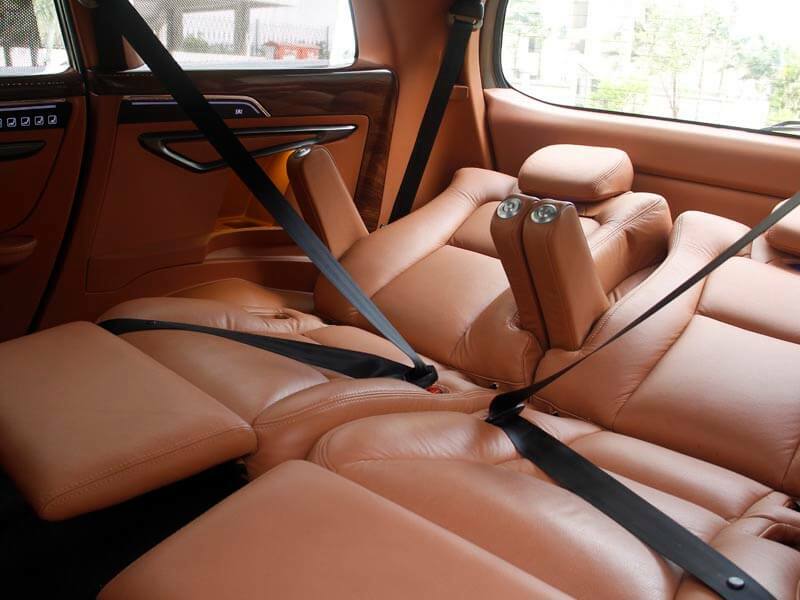 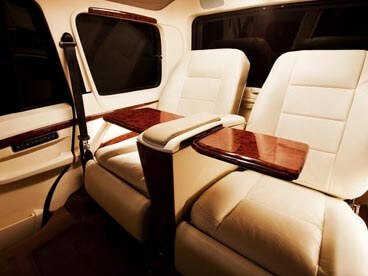 Skillfully crafted and designed to maintain 7 seats. 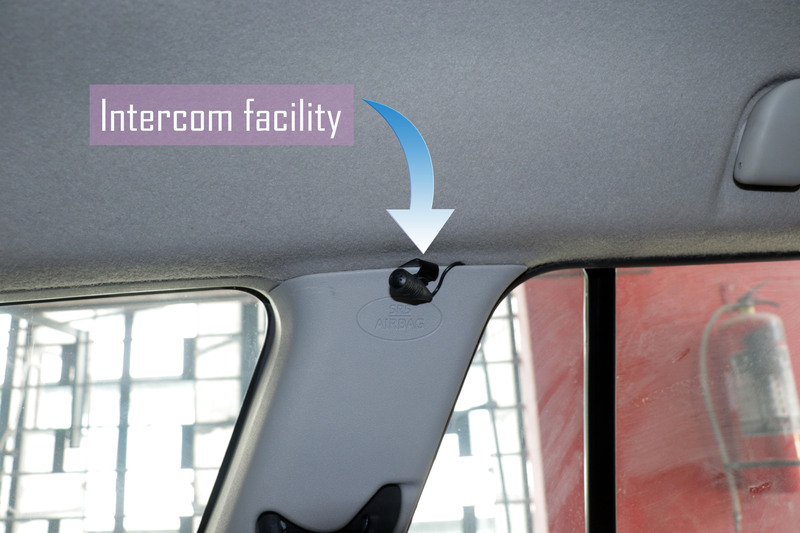 Rear seats automatically fold when principle seat is fully reclined for sleeping. Entire lounge is furnished with rich deluxe materials. 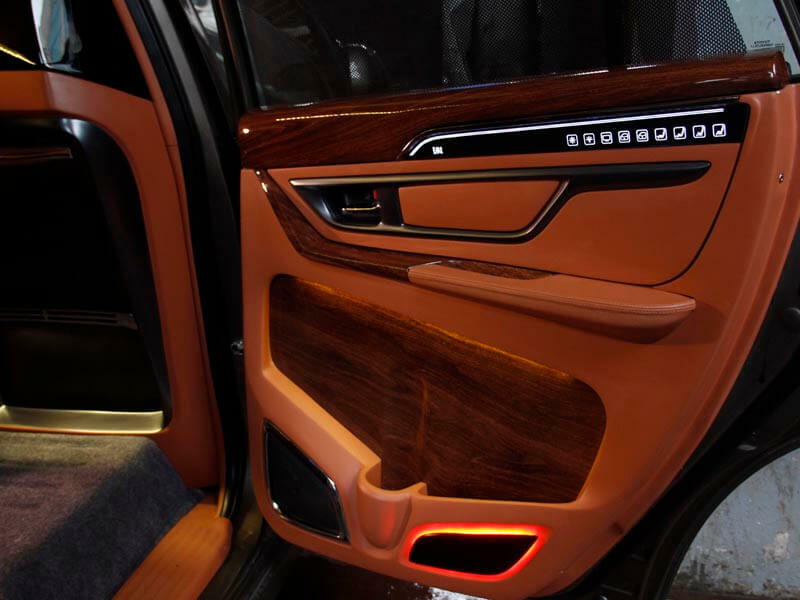 Meticulously designed and hand crafted for lovers of unmatched perfection. 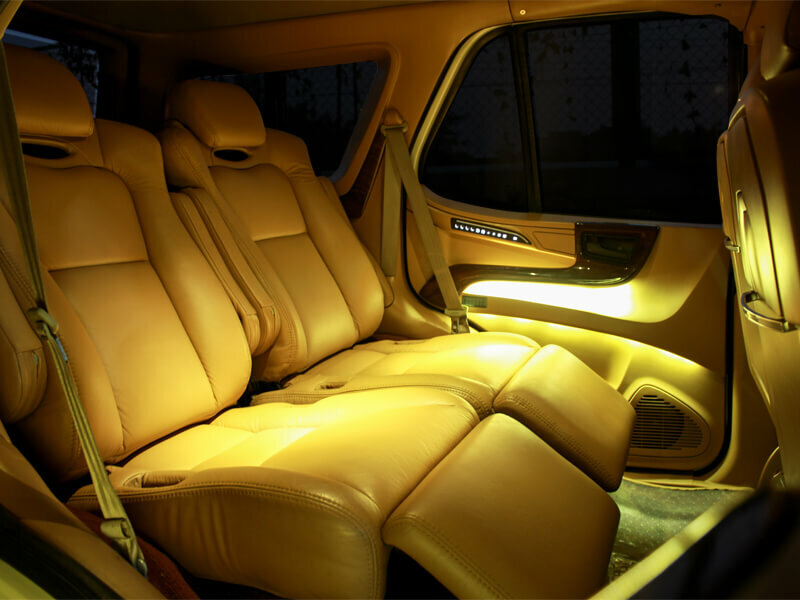 Cool comfort, soft mood lights, AC, TV etc. 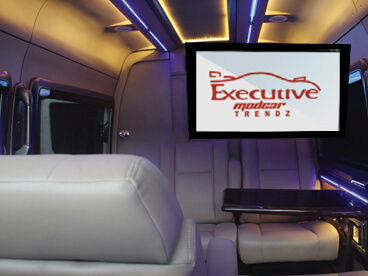 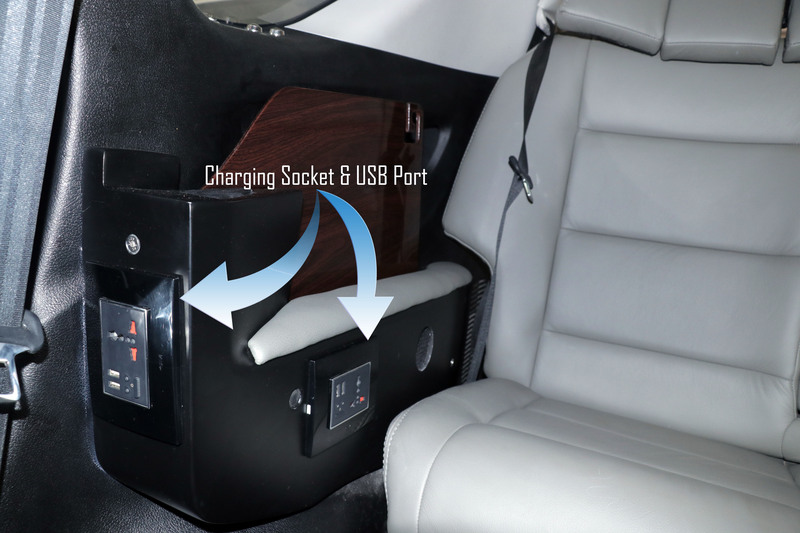 Created specifically for business travellers who prefer to have business meetings while travelling. Ideal for meetings with seats facing each other. 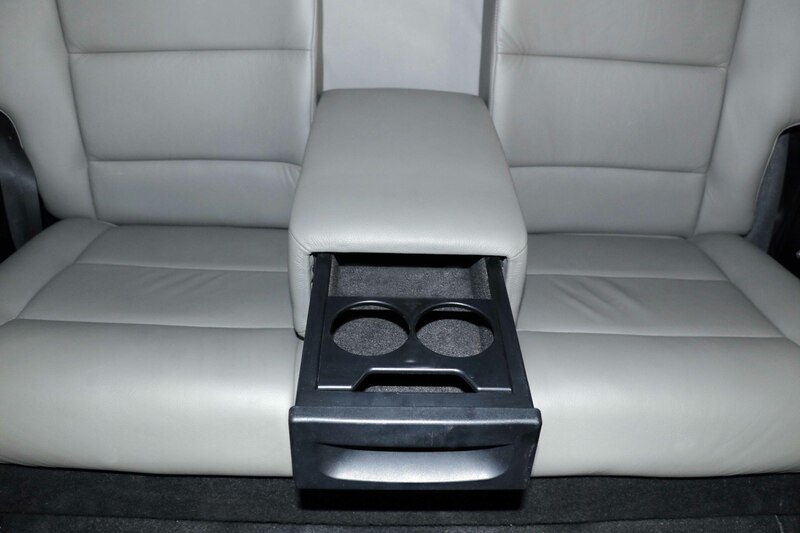 A must-have for those deal-breaking moments. 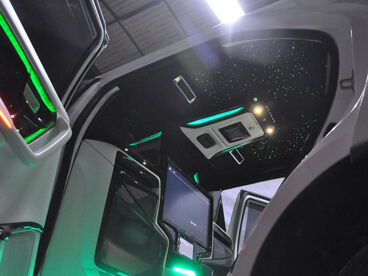 Customize it your way! 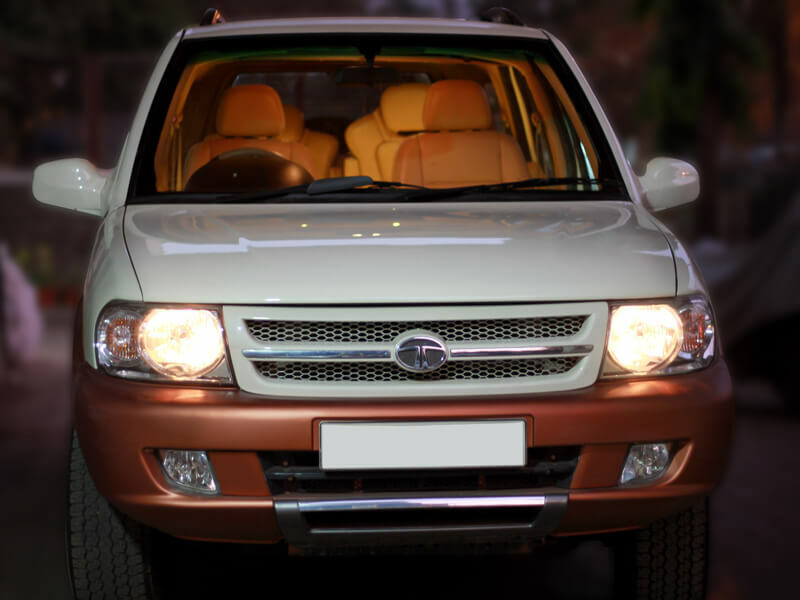 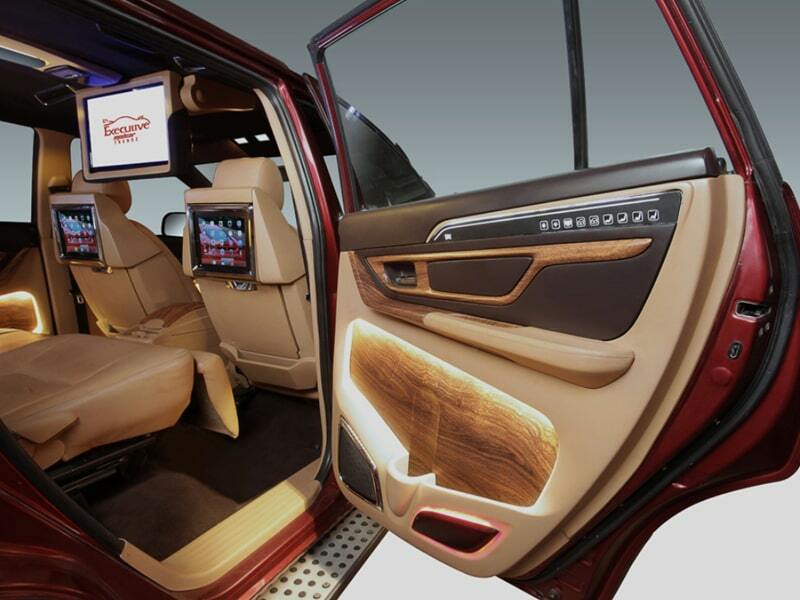 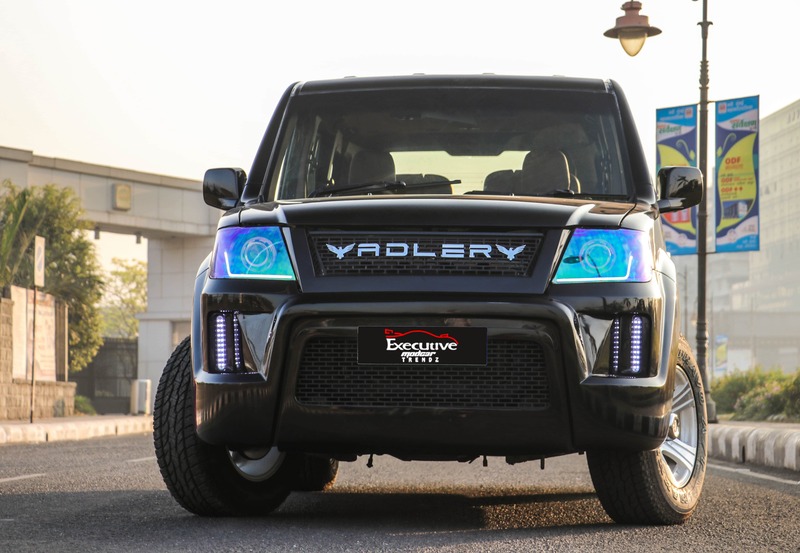 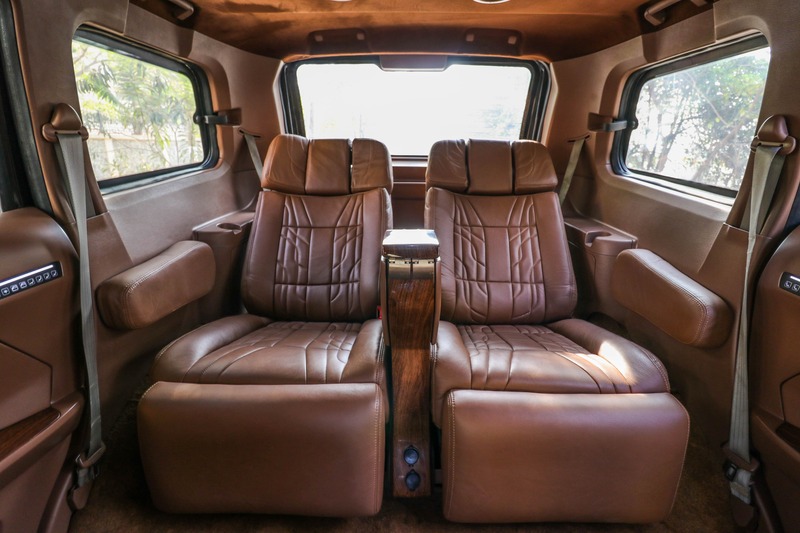 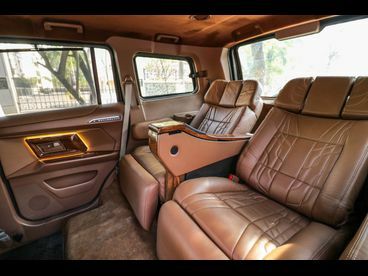 Exciting to think of a luxury lounge on a robust SUV, the Tata Safari, a vehicle designed to run on rough roads, cross-streams, hills and even off roads. 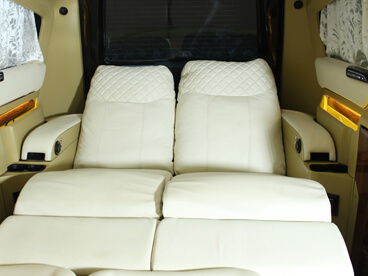 Luxurious interiors, luxury fittings, luxury seats, rich furnishings. 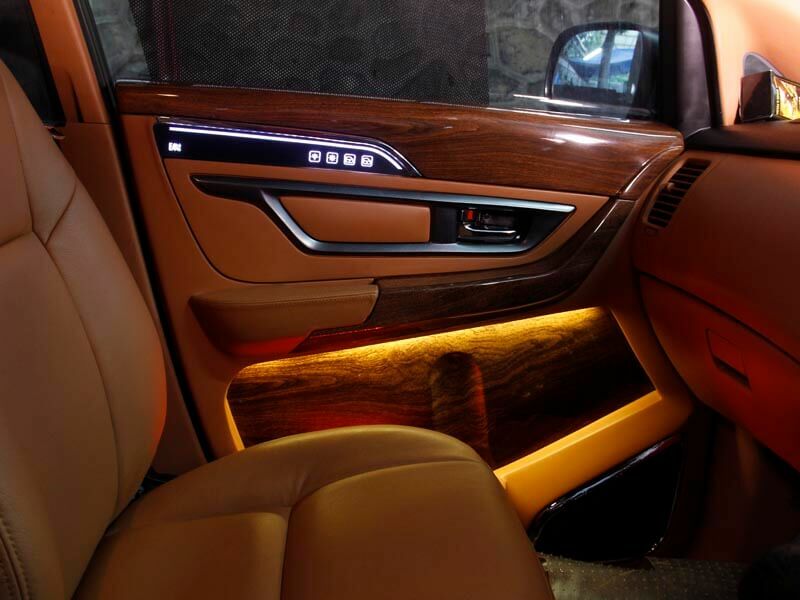 Craftsmanship at its best. 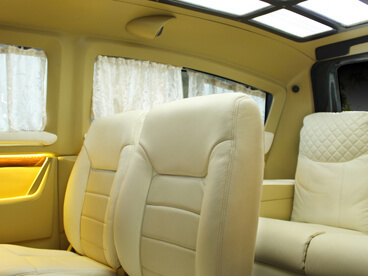 A tough vehicle, designed to have qualities of jeep, converted into a compact, comfortable and sophisticated lounge. Its interior has been radically designed and furnished with world class fittings which appeals to the millennials. 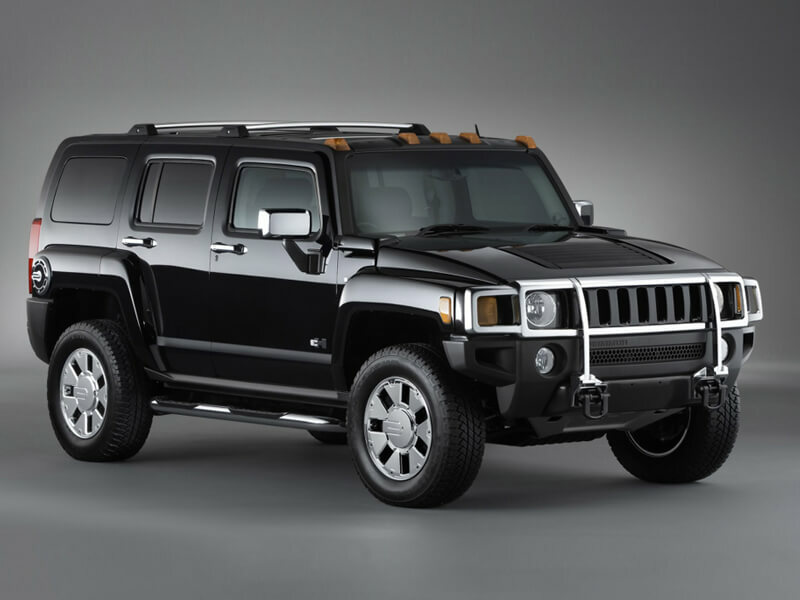 Hummer is truly an American Classic, considered a beast on American roads. 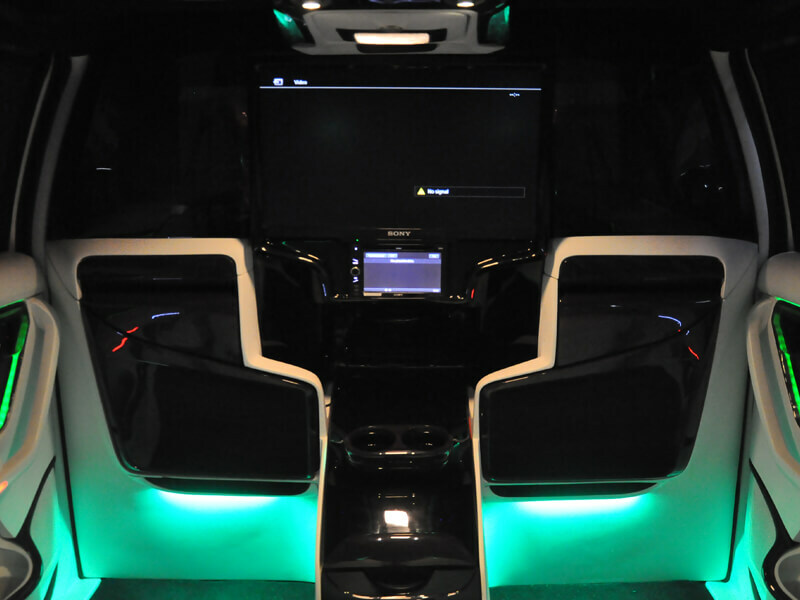 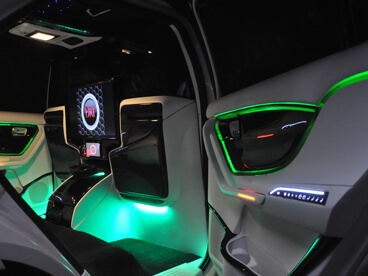 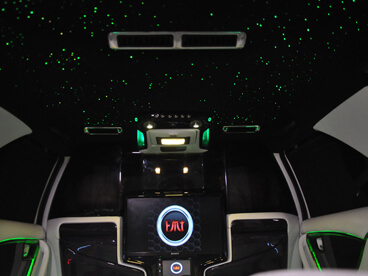 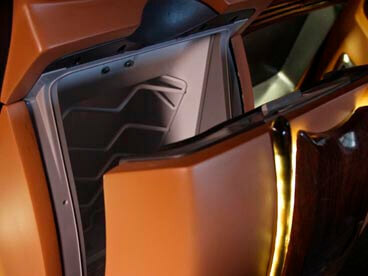 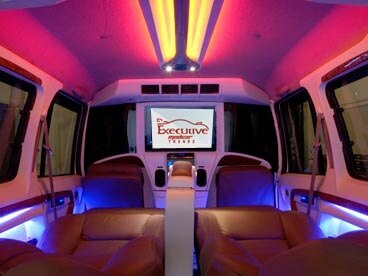 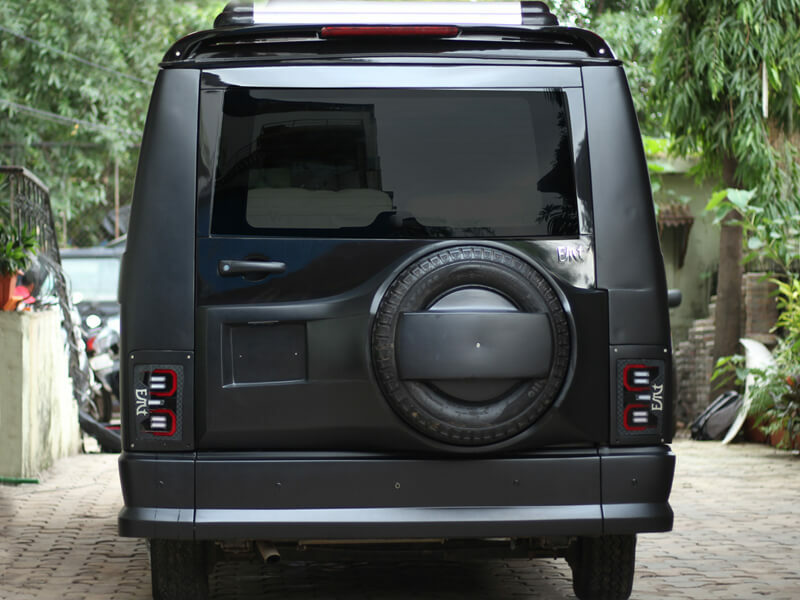 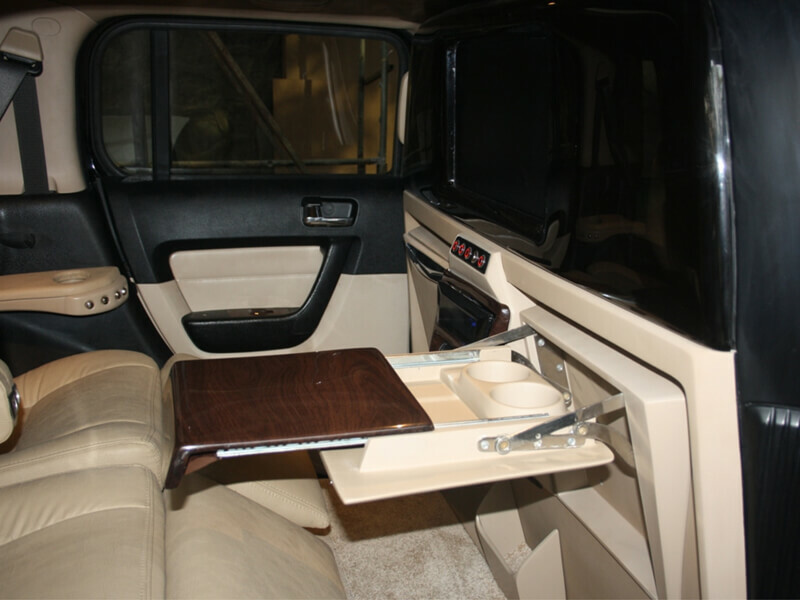 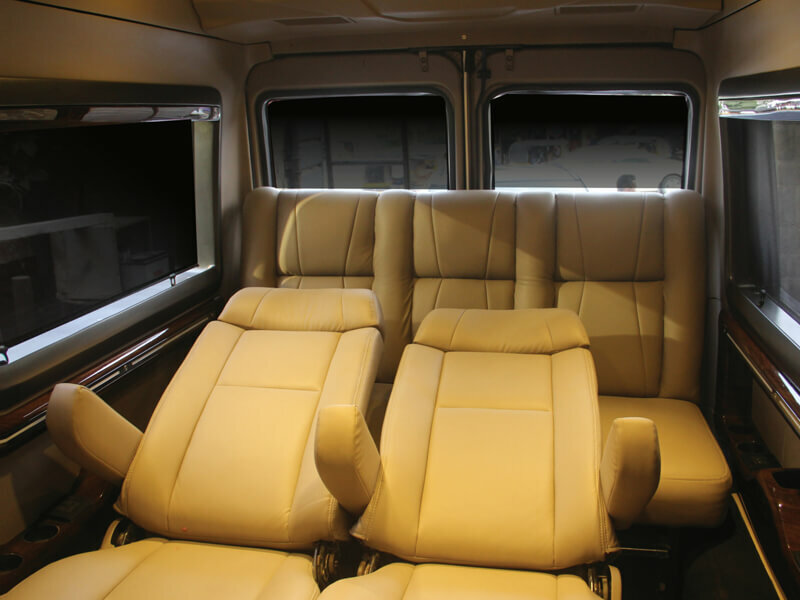 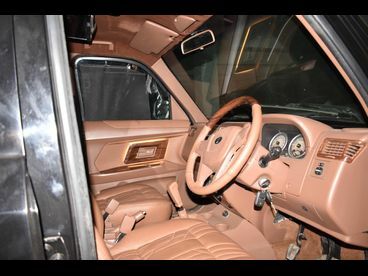 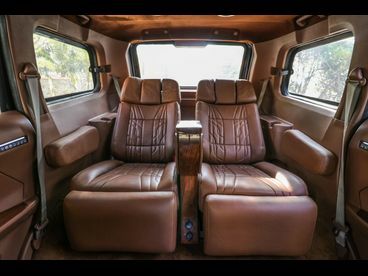 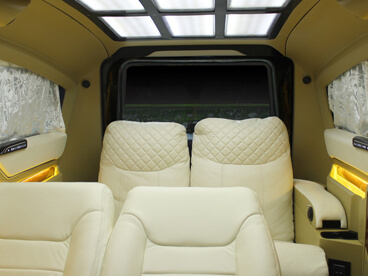 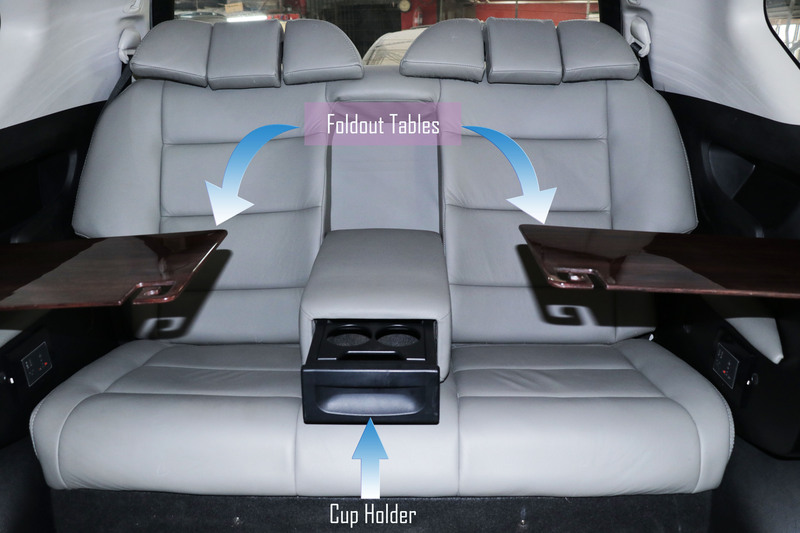 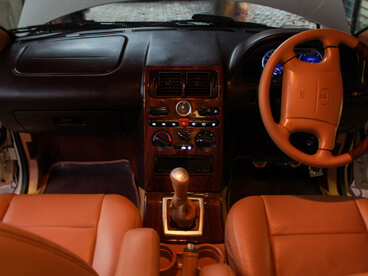 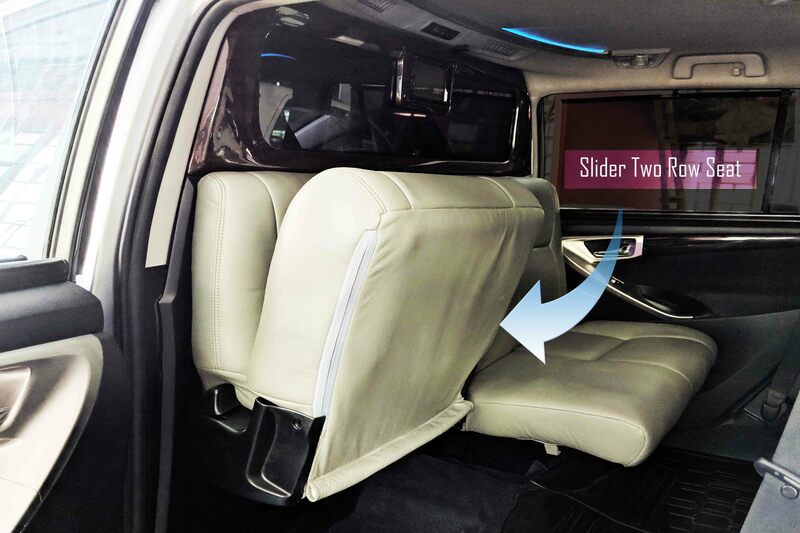 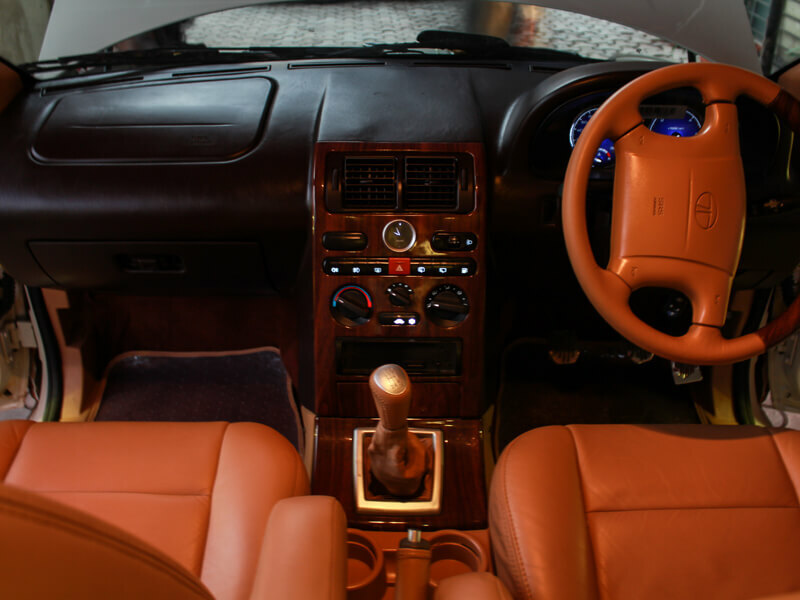 EMT designed its interior on Hummer to create a well crafted, stylish, elegant and comfortable design. 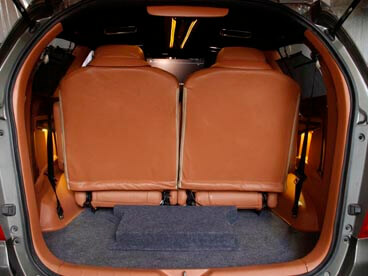 Selected materials used for seats, roof and sides. Two massive recliners seats placed for luxury comfort. 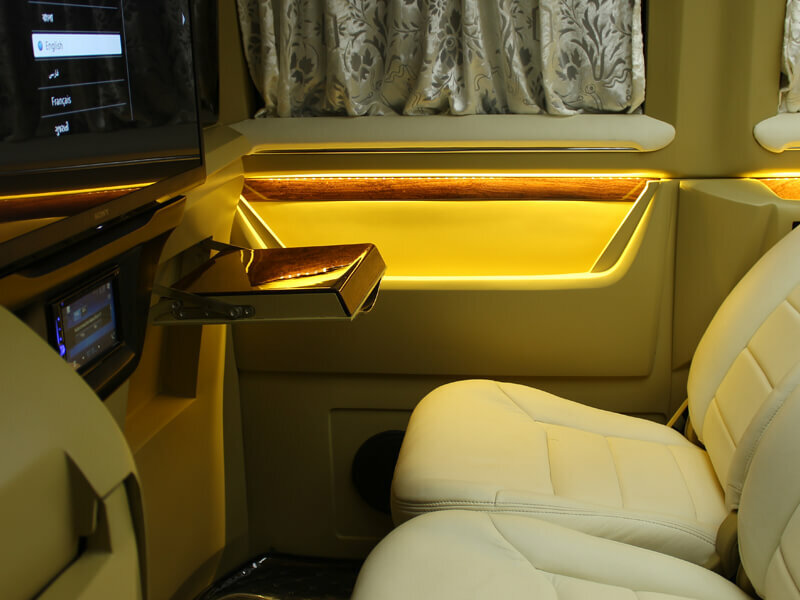 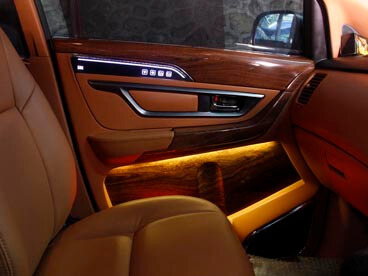 Luxury Interiors furnished with Audio/Video set up, mood lighting and AC create a relaxed and welcoming feeling. 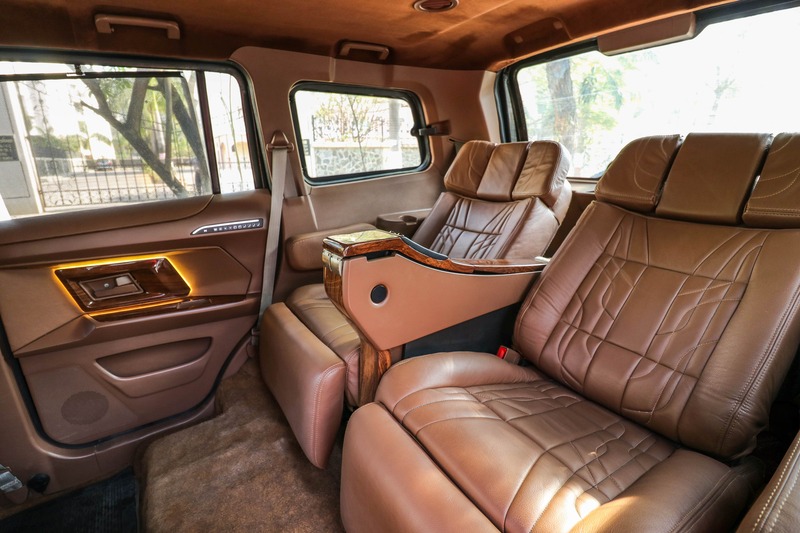 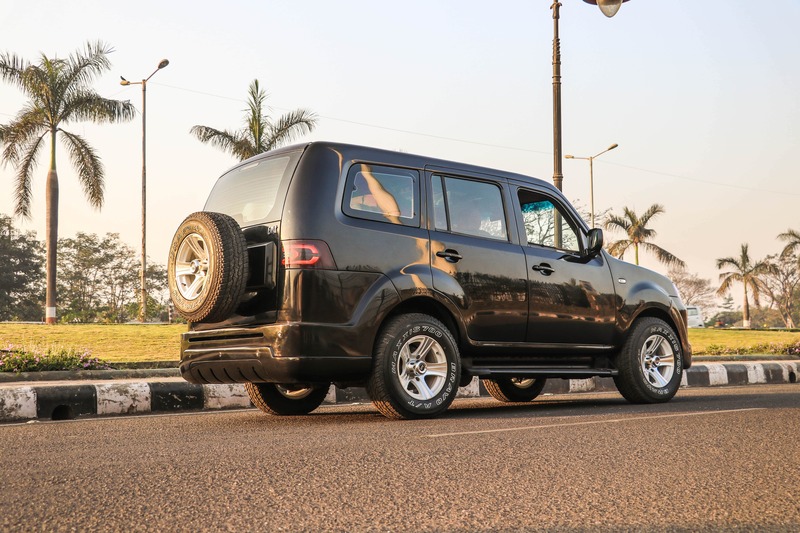 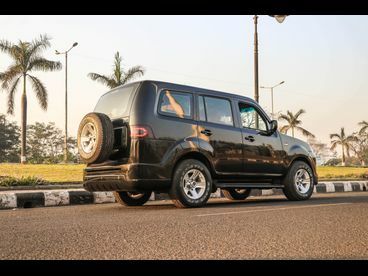 Tata Winger was launched as a medium size passenger vehicle no one would have visualized it as a comfortable lounge, also known as ‘Alishan Mahal’. 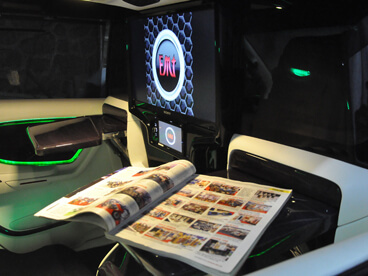 EMT team has boosted its entire image by carefully designing its entire interiors. 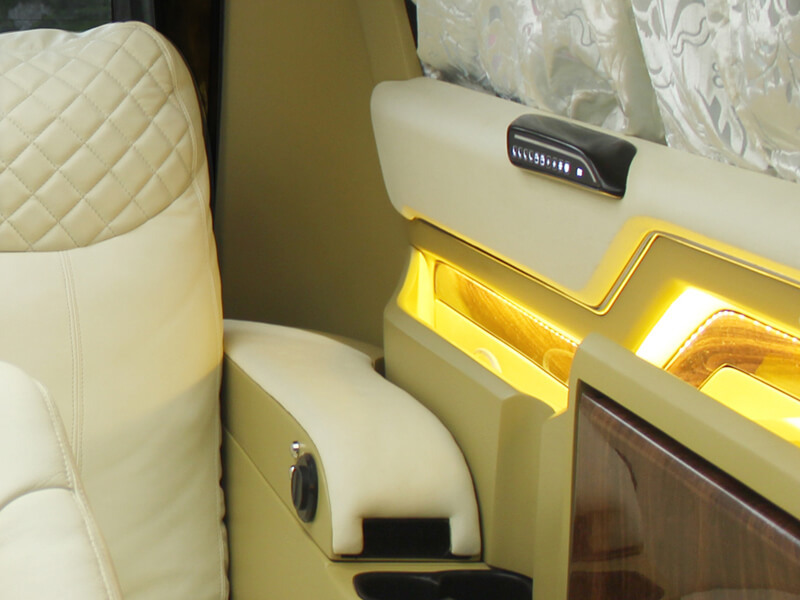 Customized panelling is done to make it look like a luxury lounge. 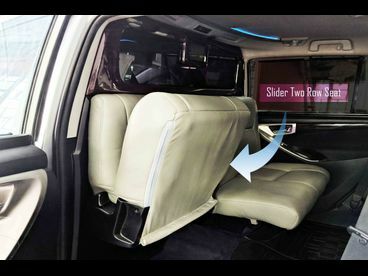 Luxurious reclining seats that convert into comfortable beds at the touch of a button make your journey safe and comfortable. 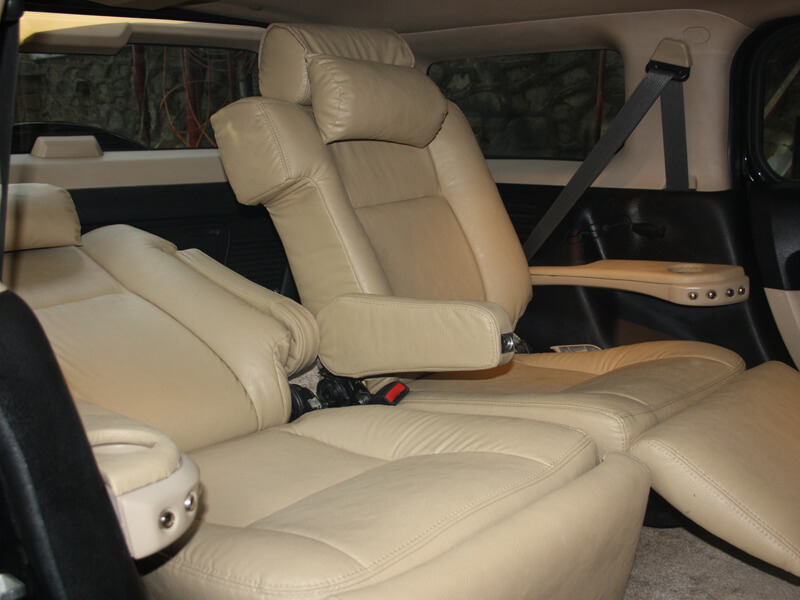 Refashioned as an extremely comfortable lounge. 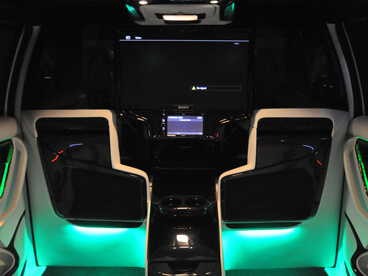 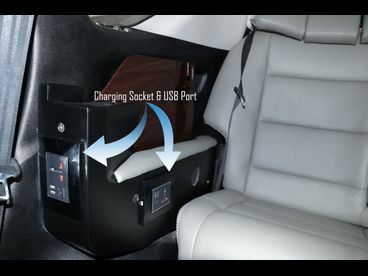 The task of designing a luxurious lounge on a Tempo Traveller initially posed several tough problems for the tech team. It was ultimately resolved by inducting several lavish inputs. 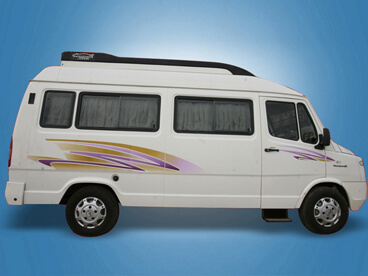 Known as the ‘Mansion on Wheels’ used as a multipurpose vehicle.